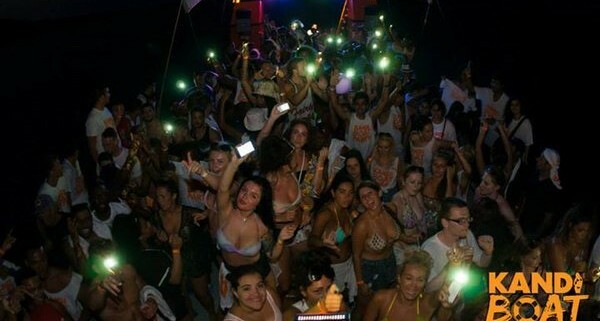 Kandi Boat party is without a doubt the hottest event that hit the island, a night that combines the fun of land and sea, its not just a boat party where people get on a boat and rave then go home, the concept goes deeper than that, whereas with one fee you’re guaranteed a whole night package, from 7pm to 7am! We first of all go to the meeting point, which is Havana Base (opposite Club Ice) an easy and precise spot for everyone to find. After making sure that every ticket holder is at the meeting point, they exchange their tickets to get a wristband which gives you access to all the venues planned for the night. Everyone will also receive their Kandi Boat Party T-shirt. Immediately after that we proceed to the next step which is food.